Improving Baltimore by increasing volunteerism. The concept is simple – we volunteer with a different nonprofit organization in Baltimore on the second Saturday of every month from 10:00 am to 1:00 pm, then spend the afternoon at a local bar for food, drinks, networking and fun with everyone who volunteered. This program was created to give young professionals the opportunity for inspiring, rewarding and impactful experiences that will help forge a passion for future volunteering – both with our organization and on their own. Volunteering Untapped was born out of the realization that young professionals in Baltimore want to give back to their community, but simply don’t know the best way to get involved. We solve that problem. Volunteering should be easy. Now it is. Baltimore possesses caring individuals who care about their communities and want to make a change. Up until now though, those individuals and their individual talents have been underutilized. That’s where we come in. We strive to “untap” resources and opportunities in Baltimore for those we serve. 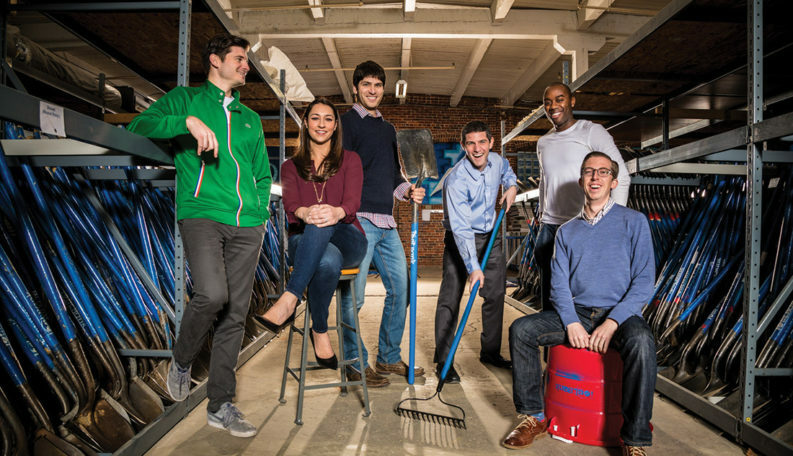 We tap into the huge pool of talented young professionals in Baltimore who want to volunteer. We encourage those volunteers to tap into giving opportunities with Baltimore-area nonprofits, whether directly through our events, or through connections we help cultivate outside the structure of our program. Volunteering in our community is incredibly important, and is something our organization is passionate about. But we want to make it clear that there’s a large social component to this as well. After helping the community on Saturday morning, we earn the right to tap beers at the bar, tap into new connections with other young people, and to tap into new opportunities and relationships through giving back and inspiring change in our communities. Help us tap into the giving spirit of Baltimore.